When building a website, there are a lot of factors to consider: goals, branding, content, design, and budget, to name a few. One of the biggest decisions you will make is which content management system (CMS) to use. WordPress, Squarespace, Wix, Weebly, and Webflow are just a few of the options in 2019. Not to mention Shopify, BigCommerce, and WooCommerce for e-commerce. Which CMS you choose will determine the future of what you can do with your website and how much you can grow. Let me break it all down for you. As a web designer, I’ve used a lot of the content management systems, and I know their benefits and limitations. WordPress, Squarespace, and Wix are the three big players in the industry as of the writing of this blog. Weebly has always wanted to play with the big kids but has never quite made it, and Webflow, CraftCMS, and a host of others are trying to be the next big thing. So, how do you know which CMS is right for you? I’m going to give you three questions to help you decide. Wait, What about Joomla and Drupal? You might be asking “but what about Joomla and Drupal?” You’re right. Joomla and Drupal are the closest competitors to WordPress, as far as features and market share. But small business owners come to me because they need to move off Joomla or Drupal. Their website is out of date, and they can’t find anyone to maintain it. Or the backend is so complicated and advanced that they can’t update the content without help from a developer. Yes, Joomla and Drupal are out there, and, yes, they can be powerful website engines in the right hands, but I do not see them as the biggest competitors to WordPress for the small business owner. Every CMS has a price. 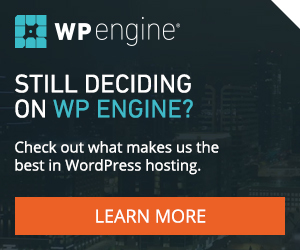 Yes, the core of WordPress is free to download and use (it’s open source), but, at minimum, you will need to purchase hosting and a domain name. Plus, if you’re looking for a custom-designed site, you will need to pay for that. Squarespace and Wix are cheaper options, but they come with limitations in order to keep the costs down. If you’re just starting out and have a very small budget, your best option might be to do-it-yourself with Squarespace or Wix. Do You Want Custom Website Design? The best option if you are looking for custom design is to use WordPress. With WordPress, you can have a fully (or partially) custom site that’s unique to your brand. Squarespace has beautifully designed templates, but they’re not custom. And if you don’t set them up exactly as intended (same amount of text, same image size), your site can end up looking a little strange. Wix has come a long way with regards to design capabilities, but it still doesn’t offer completely custom designs or a lot of flexibility. How Do You Envision Using Your Website in the Future? Future planning should always be a part of your business, and the future of your website should be included. You should have specific goals for your website. WordPress allows the most future flexibility and growth for your website. You can start with a simple website knowing that you could add a store or membership site when your business was ready. The sky is the limit. It’s more difficult to add features with Squarespace and Wix. One of my friends just tried adding a store to their Squarespace website and gave up because he couldn’t figure out how. They’re both growing in their offerings, but the budget-friendly services will always be less flexible. The choice between WordPress, Squarespace, or Wix becomes easy when you know your budget, design desires, and future goals for your website. WordPress allows for the most creativity and control while Squarespace and Wix are cheaper. If you have more questions about your website options or are looking to move your website from Squarespace to WordPress, contact us today!